One of my favorite childhood activities was making forts with my cousin in our family room. We pretty much had it down to an art and could put together a mean fort in a matter of minutes. Every single blanket, sheet and sleeping bag we could find, coupled with a complex arrangement of furniture and sofa cushions would become a home, school, castle, pirate or rocket ship. Then, lo and behold at some point in the day, my mom would beg that we tear it down and put her house back in order. 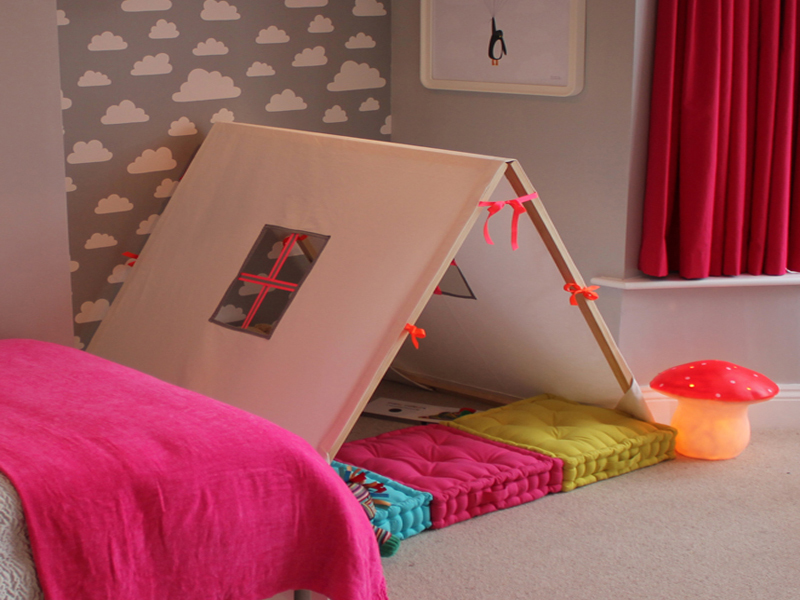 We have gathered 10 DIY fort and play space ideas that are a bit more sophisticated than old school piles of pillows and strategically draped blankets, to give you and your little builder some inspiration. And since many places are about to be in the thick of winter, it's the perfect time of year to give a kids a haven all their own while indoors during cold spells. The skills that children learn and use while fort building help hone their creativity, workmanship, cooperation, problem-solving, design and imagination. Read on to get started and have a fun fort building day! This tiny town of townhouses takes fort building to a whole new level. I could definitely see children really getting into customizing a town of their own. There are so many different possibilities from townhouses and grocery stores to flower and pet shops. The best part, these cute forts are so adorable that once you make them they will become a permanent fixture in your child’s bedroom, family or playroom – and they can be made using recycled materials to boot! What child hasn’t dreamed of being an astronaut in space at one point or another? This space ship fort will take your child out of this world. You can customize it using a large selection of items slated for the recycling bin and the best part is, its fun, quirky design will become a staple in your child’s bedroom and will most likely give them way more enjoyment than any other imagination toy in their possession. If you are looking for a fun fort that doesn’t take up any space or doesn’t require the children to destroy your sofa and remove all the sheets from the beds – this fort is for you! 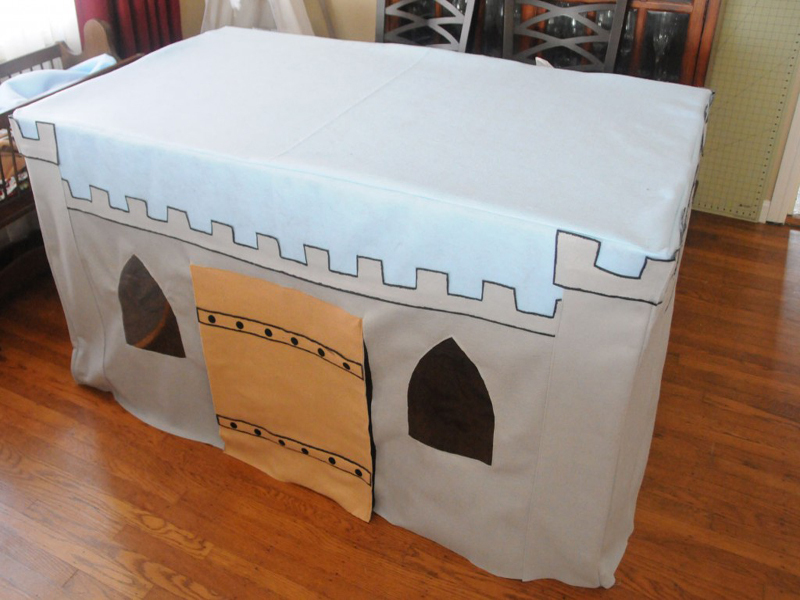 You can customize this fort to fit your dining room table, then with a few stitches with the sewing machine or dabs of fabric glue, you have a fort that will entertain your children all day long — or at least until it’s time to serve dinner! 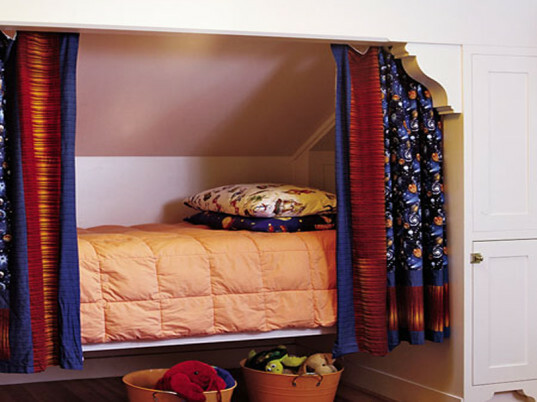 If your children have bunk beds and you are looking for a fun way to add a fort without a lot of effort – just add these fort curtains. You can easily hang these around your children’s bunk bed for an instant fort at anytime. The best part, just draw them open and the fort disappears – just beware that your children may close the curtains and tell you that their beds were made this morning! If you have an unused hula hoop in the garage, put it to work as a hula hoop house. You and your child can customize this fort to match the decor of their bedroom and it can become a permanent fixture that will be used again and again. These are especially popular with little girls, since the shape is very princess like and reminds us of our own tower in a castle in a land far, far away. If you don’t have a lot of room and you’re looking for a fort that can simply fold away when you are finished – this is it! This multifaceted super clever fort was designed by a dad. Fold it down when you are ready for a little imaginative play, use it as a table during arts and crafts and then fold it away at the end of the night. It’s a lot of fun packed in one piece of furniture! If you have a little time and a large cardboard box and some tape, this fort is fun to make your children. Again, this is a project that is completely customizable, your children can paint it, draw pictures on it, add their names or favorite clip art. Then, when they are finished enjoying the fort, simple fold it down and store it or drop it in the recycling bin. 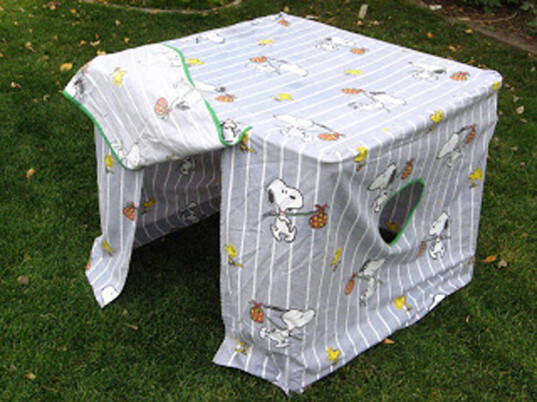 This card table fort is the perfect size for young children and it makes building a fort simple and quick. 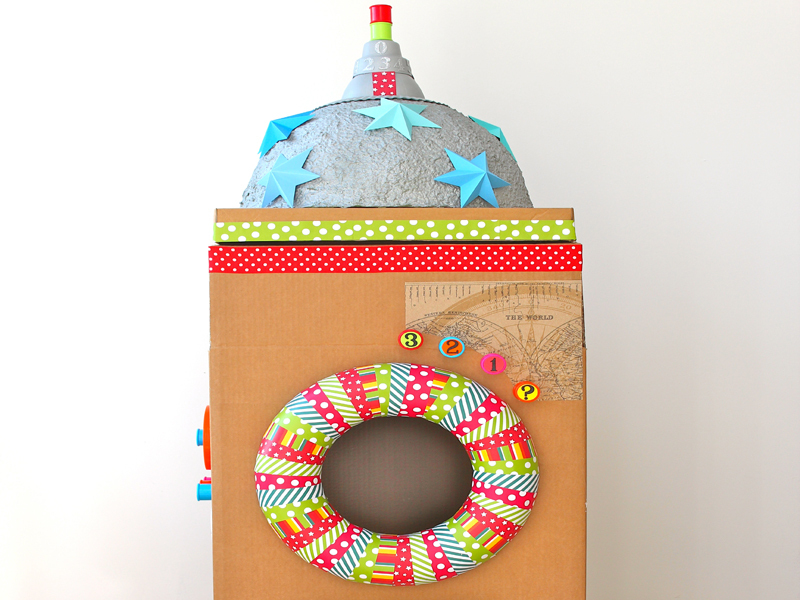 There will be sewing or gluing involved in this project, however you are left with a fort that can be used again and again. These would be fun for after Thanksgiving dinner when the children’s table quickly transforms into a fort, just in time for the children to eat dessert inside. 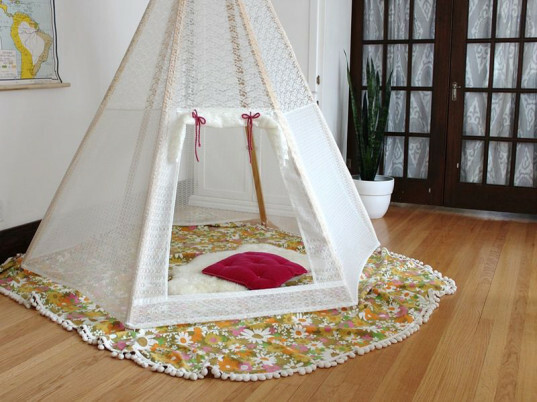 What child doesn’t adore a teepee? They are practical, magical and wonderful all wrapped in one play space. Teepees are great because they are easy to move around, even if you are in the middle of playing — just pick it up, relocate and adjust it. They can be moved inside and outside quickly too, making them an overall wonderful fort. This folding fort is the perfect piece for design savvy moms and dads who don’t want a lot of pillows and blankets littering the family room or who want a fort that is aesthetically pleasing! It’s simple design makes it easy to fold and stow under a bed when not in use, and it is so inviting that even mom or dad will want to crawl in to snuggle with their fort builder for an afternoon of reading. Thank you! oh, man, i just got a last minute babysitting job 4 three boys & a baby girl! soo unprepared since i come from a family of five girls! a million thanks! This tiny town of townhouses takes fort building to a whole new level. I could definitely see children really getting into customizing a town of their own. There are so many different possibilities from townhouses and grocery stores to flower and pet shops. 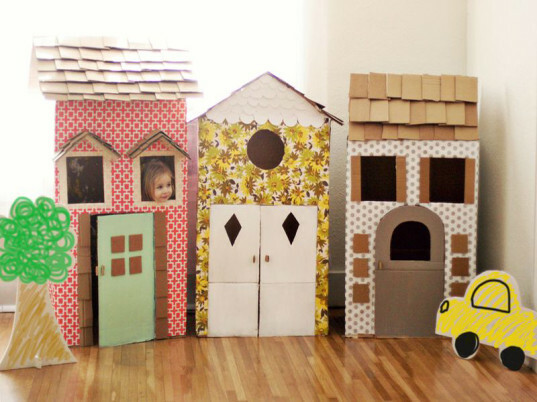 The best part, these cute forts are so adorable that once you make them they will become a permanent fixture in your child's bedroom, family or playroom - and they can be made using recycled materials to boot! What child hasn't dreamed of being an astronaut in space at one point or another? This space ship fort will take your child out of this world. You can customize it using a large selection of items slated for the recycling bin and the best part is, its fun, quirky design will become a staple in your child's bedroom and will most likely give them way more enjoyment than any other imagination toy in their possession. If you are looking for a fun fort that doesn't take up any space or doesn't require the children to destroy your sofa and remove all the sheets from the beds - this fort is for you! You can customize this fort to fit your dining room table, then with a few stitches with the sewing machine or dabs of fabric glue, you have a fort that will entertain your children all day long -- or at least until it's time to serve dinner! If your children have bunk beds and you are looking for a fun way to add a fort without a lot of effort - just add these fort curtains. You can easily hang these around your children's bunk bed for an instant fort at anytime. The best part, just draw them open and the fort disappears - just beware that your children may close the curtains and tell you that their beds were made this morning! If you don't have a lot of room and you're looking for a fort that can simply fold away when you are finished - this is it! 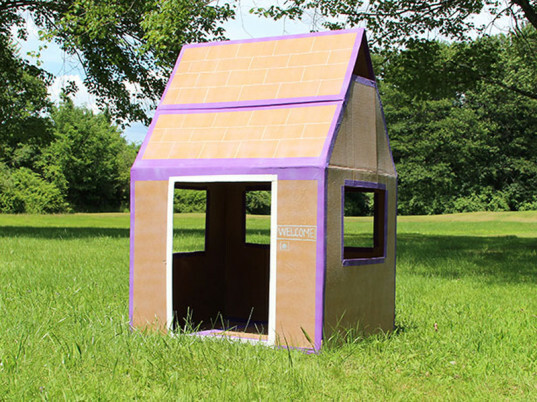 This multifaceted super clever fort was designed by a dad. Fold it down when you are ready for a little imaginative play, use it as a table during arts and crafts and then fold it away at the end of the night. It's a lot of fun packed in one piece of furniture! 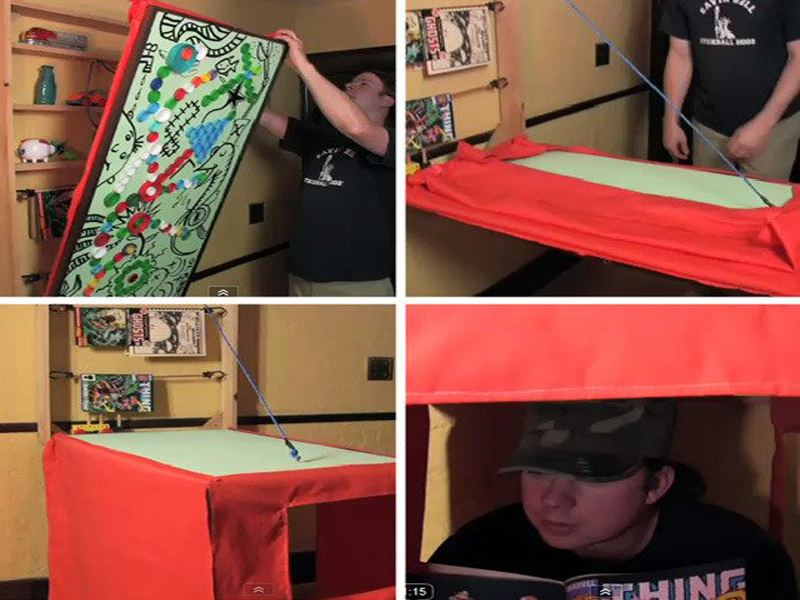 This card table fort is the perfect size for young children and it makes building a fort simple and quick. There will be sewing or gluing involved in this project, however you are left with a fort that can be used again and again. These would be fun for after Thanksgiving dinner when the children's table quickly transforms into a fort, just in time for the children to eat dessert inside. What child doesn't adore a teepee? They are practical, magical and wonderful all wrapped in one play space. Teepees are great because they are easy to move around, even if you are in the middle of playing -- just pick it up, relocate and adjust it. 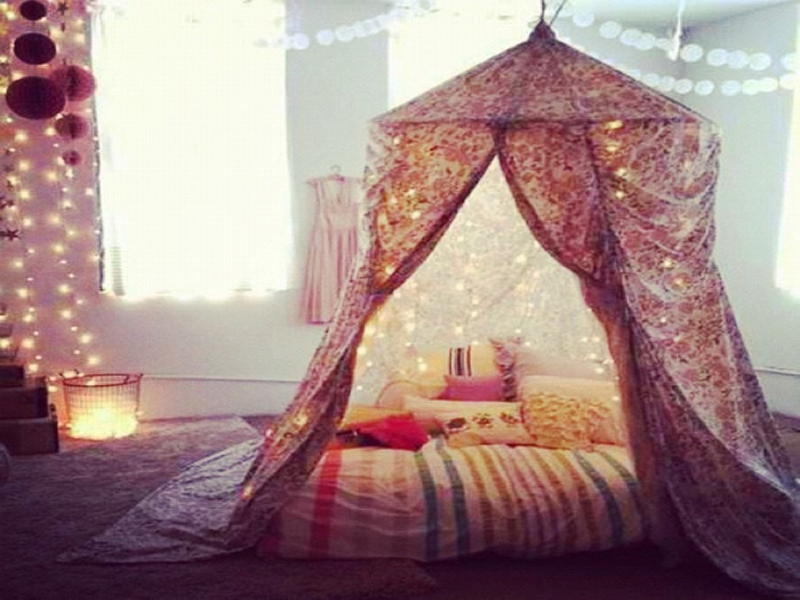 They can be moved inside and outside quickly too, making them an overall wonderful fort. This folding fort is the perfect piece for design savvy moms and dads who don't want a lot of pillows and blankets littering the family room or who want a fort that is aesthetically pleasing! It's simple design makes it easy to fold and stow under a bed when not in use, and it is so inviting that even mom or dad will want to crawl in to snuggle with their fort builder for an afternoon of reading.